Whether or not you’ve ever heard of Harley Earl, his massive impact on the automotive industry still resonates today. During his years in charge of styling for General Motors, Earl completely reshaped how automakers planned and designed cars and marketed them to the public. In Fins, author and historian William Knoedelseder takes readers on a fast-paced ride through Earl’s life, examining his outsize influence and how it intertwined with the growth of the American auto industry. Fins begins with a look at Earl’s family roots and his childhood. It’s no wonder that Earl, born in 1893, became a visionary auto designer when he grew up. His father, J.W. Earl, owned a business in Los Angeles that specialized in designing and customizing car bodies for the new and rapidly growing auto industry. Earl’s Hollywood upbringing also coincided with the birth and growth of the movie industry, the streets abuzz with film directors and stars, their fancy cars, and their sense of showmanship and style. As a teen, Earl loved to model automobile bodies out of clay. During and after college, he showed a knack for design while working at his father’s shop, Earl Automobile Works, where he became chief designer. In 1919, the shop was bought out by a local Cadillac dealer — at which point Earl’s career really took off. With his modeling skills and eye for detail, he successfully completed a series of spectacular customization jobs for silent-film stars like Mary Pickford, Fatty Arbuckle, and Tom Mix. In the process, Earl drew the attention of GM. By the 1920s, the two largest American automakers were Ford and GM, as Knoedelseder points out in a concise overview of the industry’s development to that point. However, GM’s unruly collection of brands was still a distant second to Ford and its dominant mass-production capabilities. One way to catch up was to satisfy the public’s growing demand for more stylish alternatives to Ford’s boxy, bare-bones best-seller, the Model T. To do this, GM brought Earl to Detroit and changed the course of history. Earl brought a vision with him to Detroit: Instead of producing the same model year in and year out like Ford, GM would release newly updated models each year, carefully planning and scheduling vehicle styling to keep things fresh instead of waiting for major technological advances. That way, customers would have a reason to upgrade their cars a little more often (making more money for the automaker in the process). Earl also envisioned cars with a strong, unified design, a major change from automakers’ typical practice of building a vehicle’s chassis and then having an outside company bolt on the body. He was especially fond of designs featuring long, low-slung bodies, sweeping lines, rounded edges, and two-tone paint work. Finally, Earl was eager to offer customers a wide range of features and options — from paint and upholstery choices to chrome trim and quality wheels — encouraging them to view cars as a personal statement and not just a practical purchase. To carry out his ideas, Earl assembled a high-achieving team of creative designers for GM’s Styling Section. These designers worked around the clock on all aspects of styling for future models. It wasn’t an easy job. “By all accounts, Harley Earl was hell to work for,” writes Knoedelseder. A workaholic and exacting taskmaster who ruled his domain with an iron hand, the 6-foot-5-inch Earl possessed a terrifying temper and frequently turned it on his subordinates. His inability to draw meant he often struggled to communicate the designs he saw in his mind. However, Earl also won his staff’s respect with his savvy instincts and unerring eye for detail. And as designers moved on to jobs with other automakers (and they frequently did), they gradually spread Earl’s ideas across the industry. In the process, Earl oversaw the design of numerous classic cars, including the 1927 Cadillac LaSalle, the 1936 Buick Century, the 1938 Buick Y-Job concept, the 1953 Chevrolet Corvette, the 1955 Chevrolet Bel Air, and the Le Sabre concept. In one of his biggest design coups, he introduced tail fins on the 1948 Cadillac, creating an iconic look that would characterize the coming decade (and reach its outrageous apex on the 1959 Cadillac). Earl retired at the end of 1958 with his legacy secure. 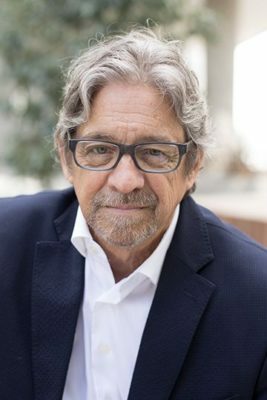 Even as many of his specific design preferences fell out of favor with a new generation of car designers and buyers, his underlying philosophy had forever changed how people viewed and purchased vehicles. 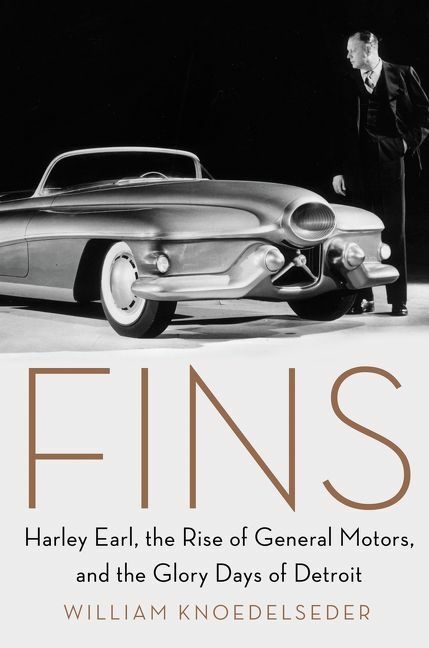 Fins is far more than a biography of Harley Earl — it’s a fascinating, colorful romp through the glory years of the American automotive industry. That broader focus means the book never gets bogged down in biographical minutiae. While staying attuned to the arc of Earl’s life and career, Knoedelseder consistently offers insights into the larger historical and cultural context that surrounded the man — from how GM survived the Great Depression to the ups and downs of Ford to the major automakers’ role in winning World War II. One point where Fins does fail to provide context is with its illustrations. Despite the book’s highly visual subject matter, only eight pages of black-and-white photographs are included. A more generous selection of photos (or drawings of Earl’s favored automotive design elements) would seriously enrich the book. That being said, this shortage of illustrations is far from a fatal weakness, and other, more narrowly focused books are available to pick up the slack. Overall, this book is recommended for auto enthusiasts and American history buffs alike. Skillfully drawing on a combination of interviews, archival documents, and secondary sources, Knoedelseder has written a book that both entertains and informs. 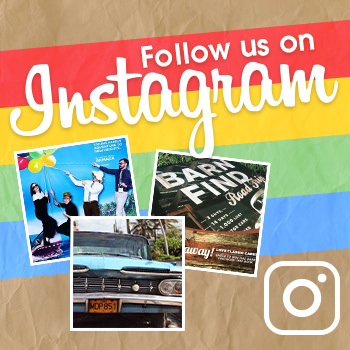 Fins is available through the publisher’s website, Amazon, and other retailers.